Hey! iPhone lovers out there, the next few months are going to be interesting for you, as rumor mill will be growing up for you with rumors about iPhone 7. We have got lots of rumors so far, and with them, we can have a virtual image of what could be actual iPhone 7 and what could be features in it. If you are interested in knowing them, then just keep reading this post ahead. "If Apple does decide to go for a new design for the iPhone7, we actually think it could be thicker than the iPhone 6, with what Apple calls "sidewall displays." As per the reports, display that extends onto the sides of the device is likely to happen in iPhone 7. It would be really interesting to see if Apple uses Liquid Metal as build material in the iPhone 7 or not. As per rumors, Apple is planning to make the screen of iPhone 7 bigger in size as compared to iPhone 6 Plus. Of course, company would do this to deliver good viewing experience and tough competition to big-sized Android devices. Removal of physical buttons is also something that could happen. If the rumors are to be believed, quad-core A8 processor or even higher chip could be part of iPhone 7 that would offer amazing speed and would take multi-tasking to a high end. Talking about the memory, just like previous iPhone devices, this one will hit the market in various memory variants. iPhone 6 Plus is already there in market in 128GB variant. So, iPhone 7 will also be there in this much storage as well. We expect Apple not to bring 16GB variant of iPhone 7. This much memory is simply very low for an incredible device series like iPhone. iPhone 7 will come with iOS 9. As per multiple reports, Apple could use dual-lens camera setup for iPhone 7. This would allow users to click pics of DSLR-like quality. Of course, if this happens, then it will start a new revolution in the smartphone photography field. We are yet to hear about possible megapixel count of primary and secondary camera of the device. But come on, numbers do not matter. A built-in projector is likely to be part of iPhone 7. The device will be 4G equipped and will offer better connectivity than what you get in current iPhone. Moreover, a new battery technology is expected to be part of iPhone 7. 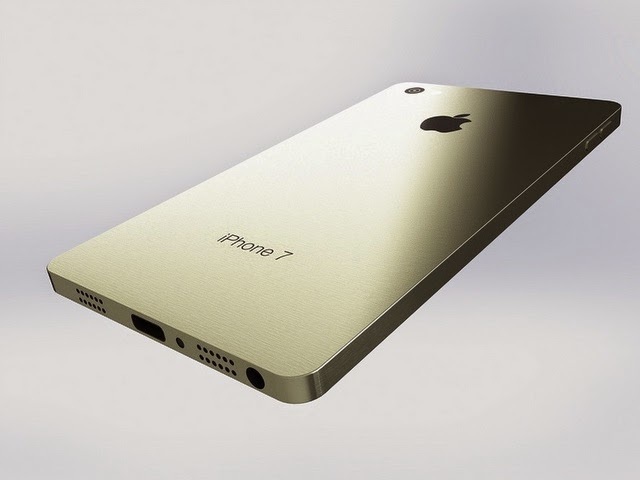 As per multiple rumors, iPhone 7 will be announced in third quarter of next year. Price tag may go between US$649 to US$849. This mentioned tag does not include the possible contract fees. With the passage of time, we will be seeing more and more rumors. It would be better to give you verdict later on. Till then, stay connected with us to know the latest happenings in this regard.